You guys know my stance on seeing console games coming to mobile devices, but this information today has me at least a little excited. 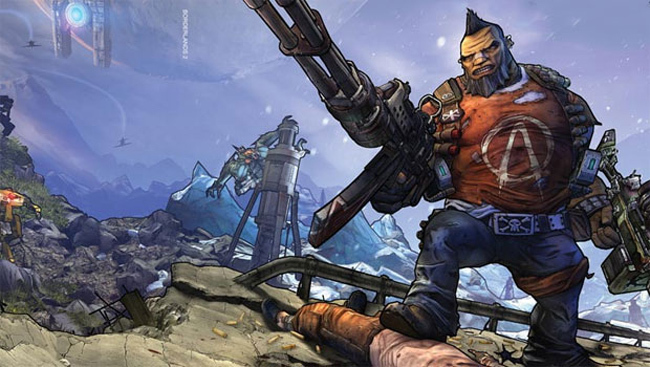 Borderlands, one of my favorite games ever, had its sequel announced as coming to Tegra 3 devices recently. The makers of the game, Gearbox and NVIDIA invited many people to PDXLAN 19 and many were expecting to see a next-gen GPU and most came away disappointed when all they were shown was two games. I’m obviously not one of those that was disappointed. To say that I am excited for Borderlands 2 would be an understatement, although I do not want to play it on my tablet. The game is an open-world RPG based on 4 characters who have their unique set of gun-toting skills. Another game that was shown off was Demolition Inc. A fun looking top-down puzzle game that more or less functions as a demo for how the Tegra 3 will handle physics. Now this is more my style of games that I will want to play on my tablet. It looks like it will handle tablet interface while still being fun to play. Who can turn down exploding cows? Gaming on mobile devices is becoming more realized as we get better specs. Any games you would want to play on your tablets?